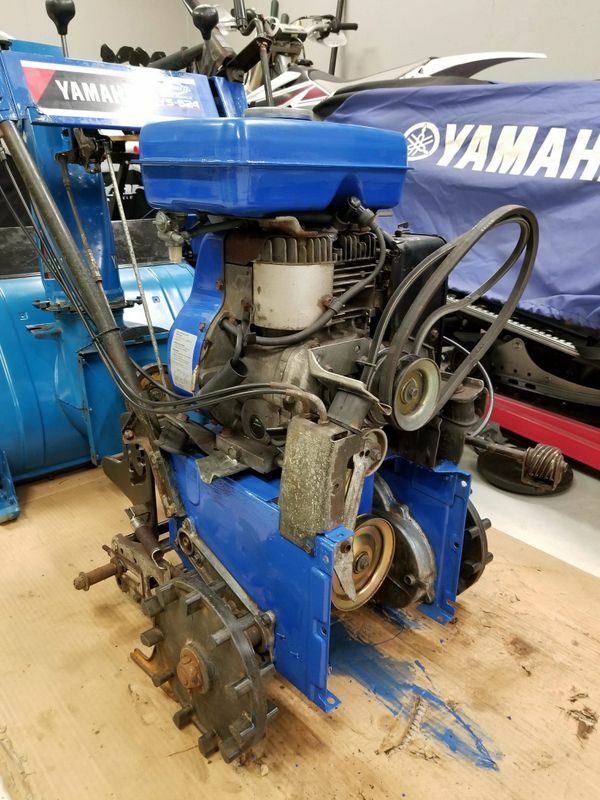 This year Bill's trusty YS-624 Snowblower turned 21 and it was time for a few repairs and paint. 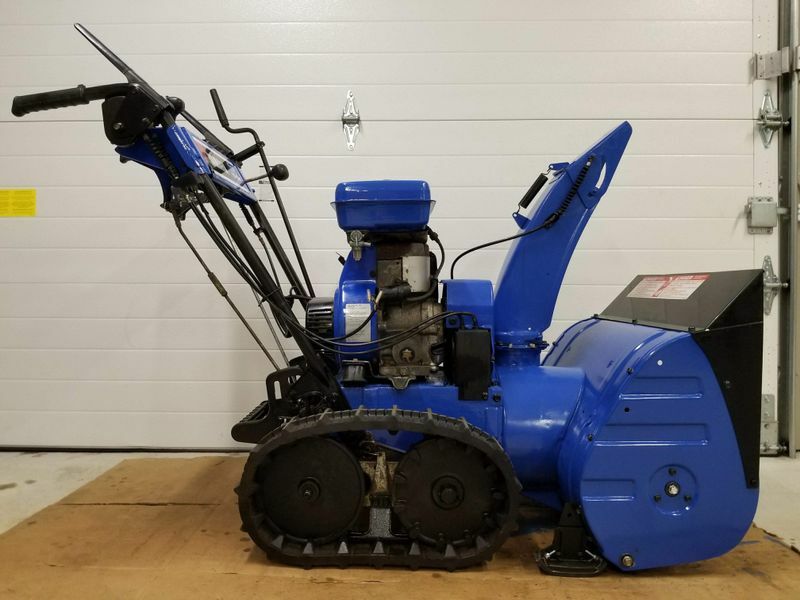 This unit has held up very well over the years only requiring one set of belts, some impeller bearings and a bucket paintjob a couple years ago. 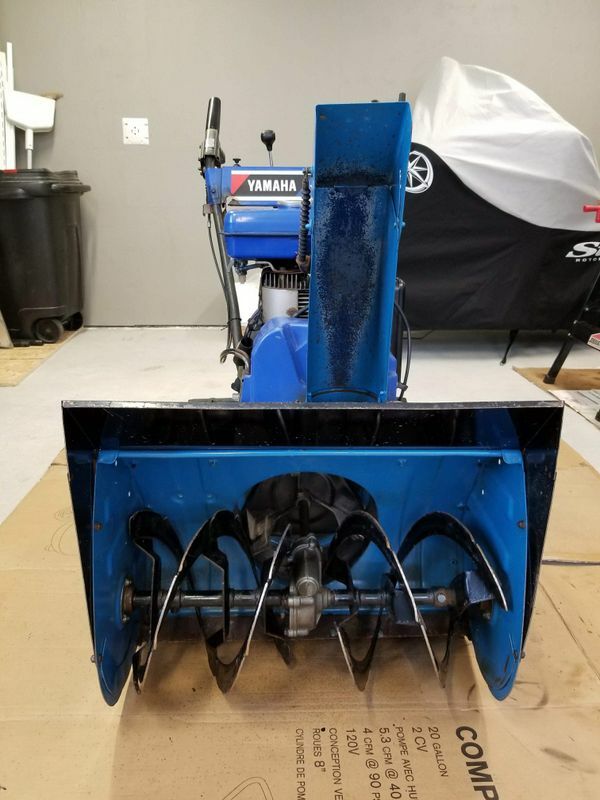 The only real problem was that the teeth on the augers were worn down so breaking up hard snow and ice was becoming a chore. 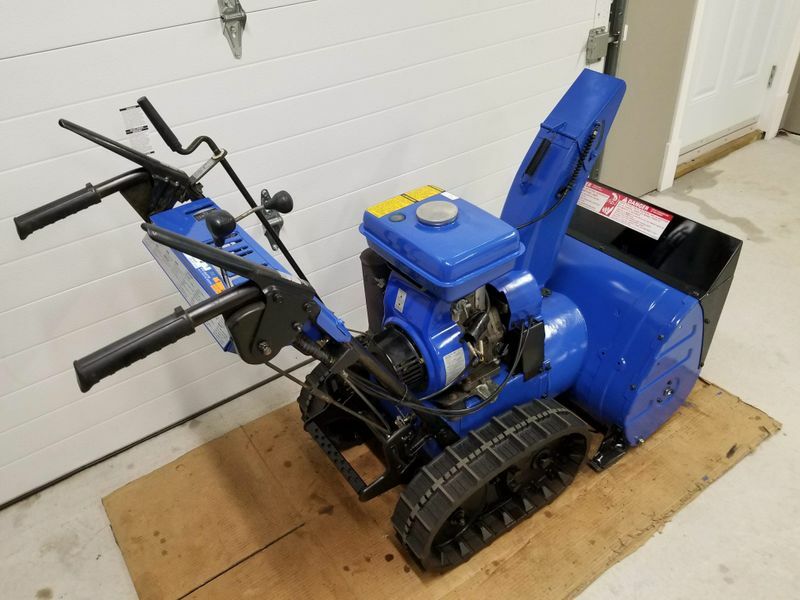 With new augers no longer available Bill sourced a complete used bucket and picked it up for parts. The last paintjob was done with Tremclad Blue which held up well but wasn't a perfect match to the original paint on the engine and controls. 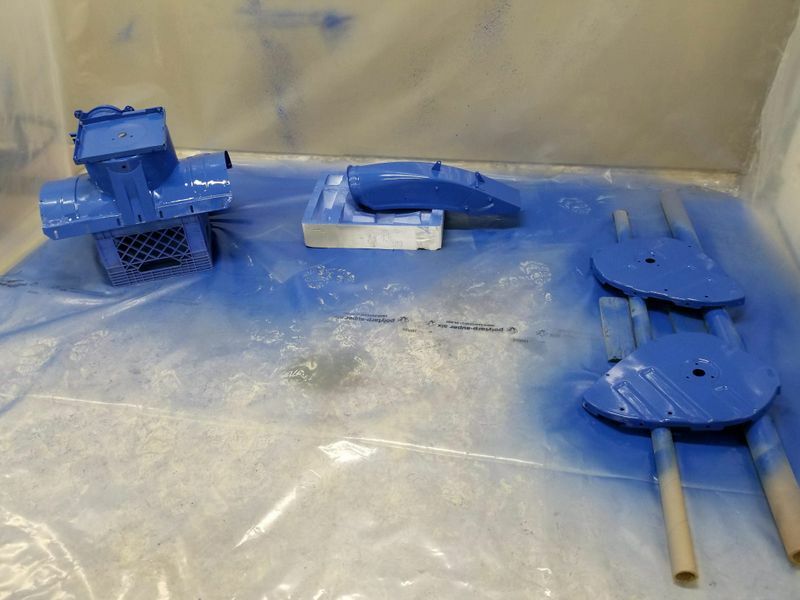 Thankfully now Atlantic Recreation stocks spray & brush on cans of color match paint in the correct color code which is what Bill picked up for this project. 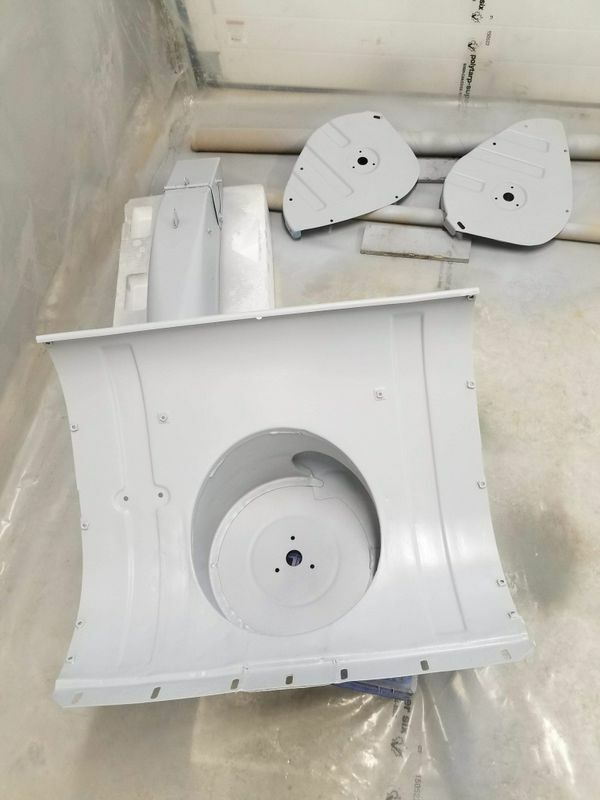 The augers from the donor bucket were taken apart, sanded down and treated to a fresh coat of black paint. 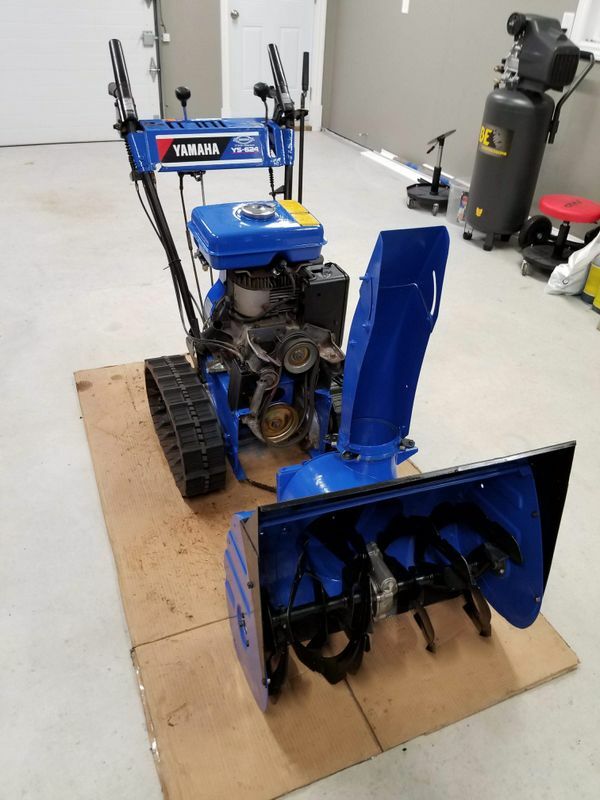 This not only looks great but really helps wet sticky snow from sticking to the augers and clogging the bucket. 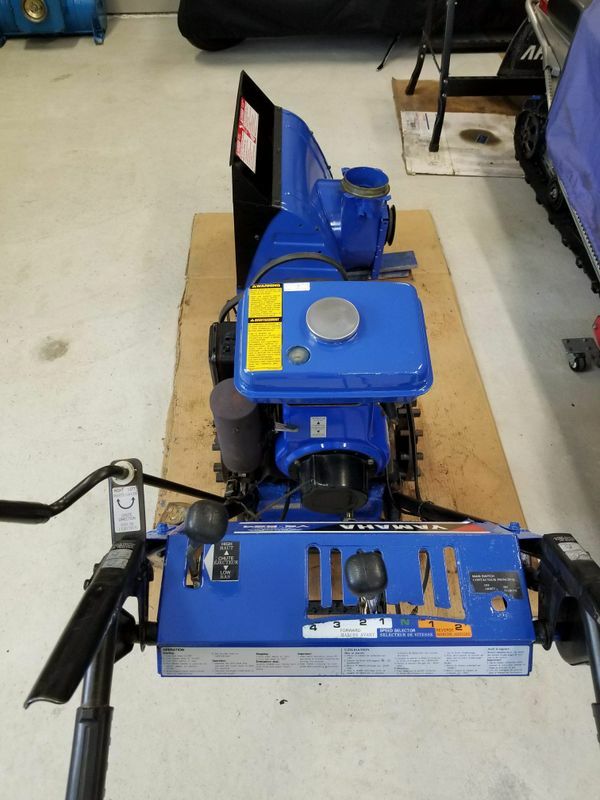 It's a great maintenance item to keep ANY Snowblower working well. 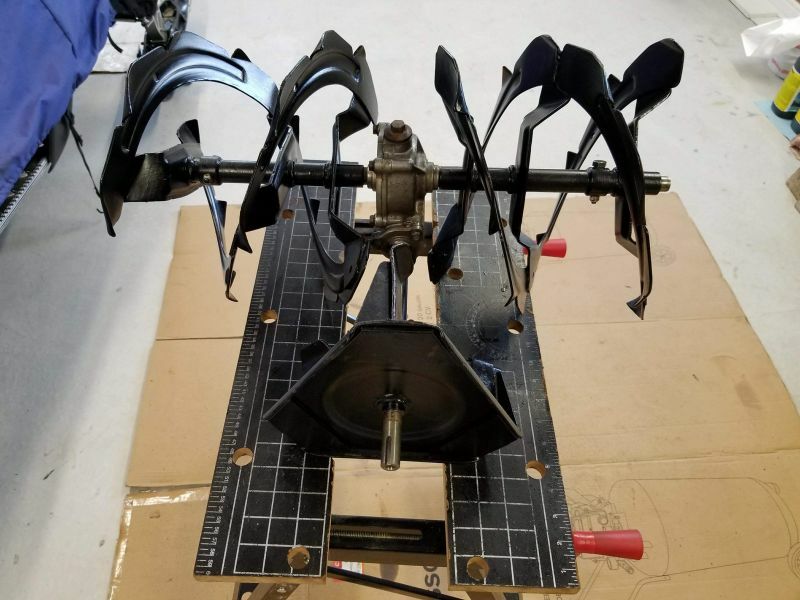 With the augers complete it was on to the bucket. Bill hand stripped the entire piece inside and out to promote great adhesion of the new paint. 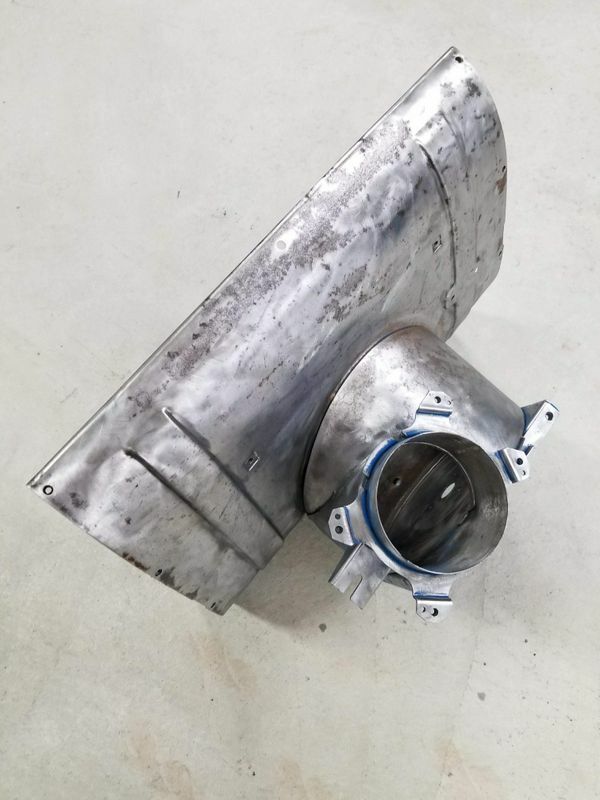 A metal working dolly was used to remove the worst of the dents from the bucket and impeller housing. 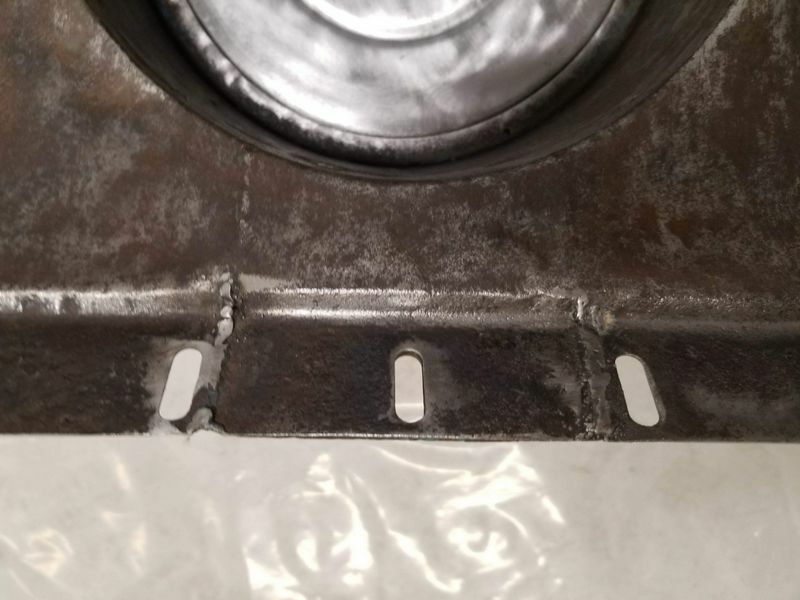 There was a small crack on the bottom edge above the scraper bar so Ronnie was tasked for this repair and fixed it up with his new 110v mig welder in short order. Next it was on to paint. 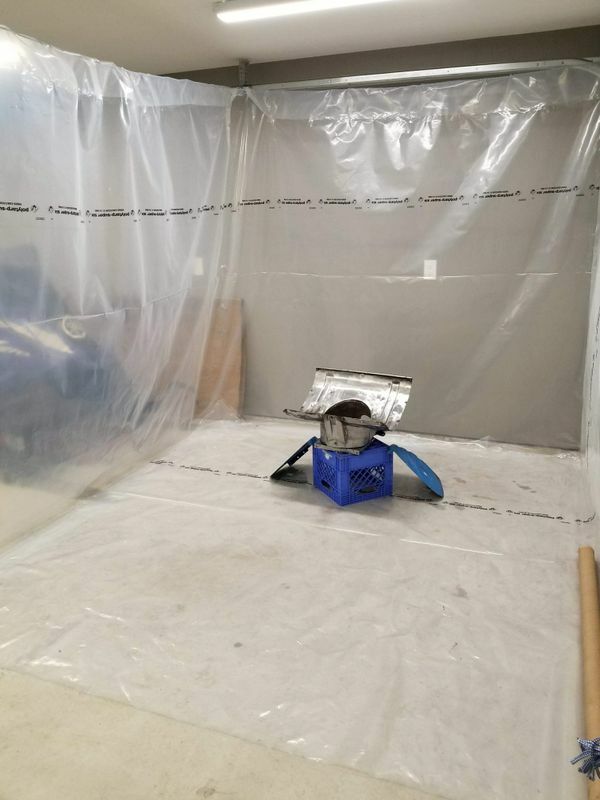 Bill set up a temporary spray booth in his garage using plastic sheeting hung from the overhead door rails. 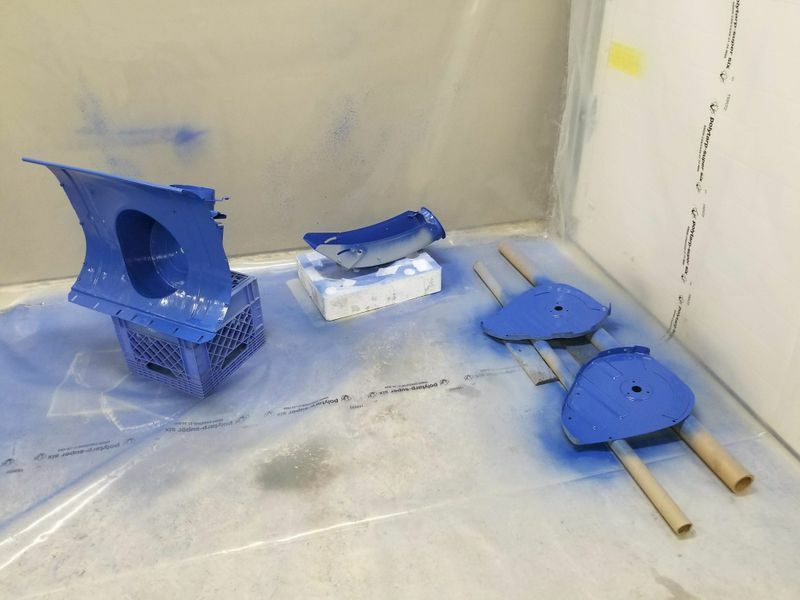 This would help keep the paint dust at bay. 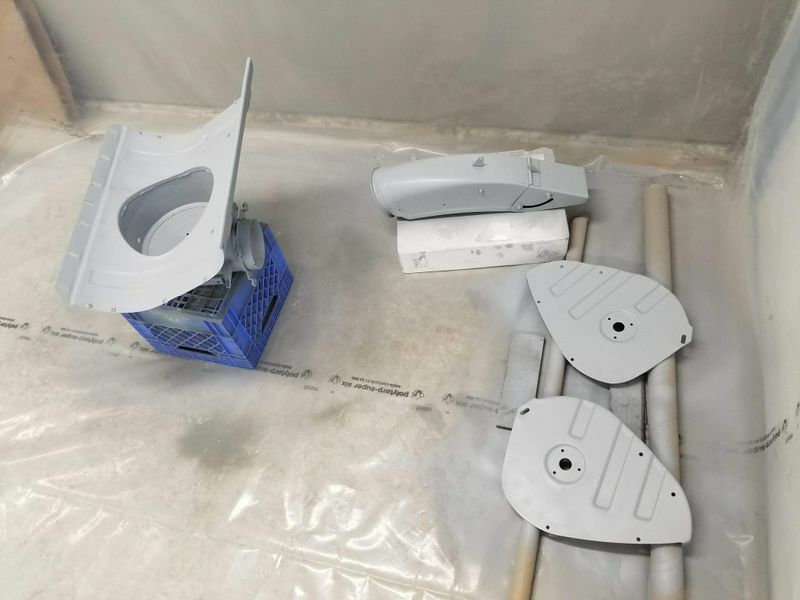 The first paint applied was a couple of coats of Etching Primer to promote adhesion to the sanded bare metal surface. This was followed by a few coats of grey high build primer to help fill in any imperfections. 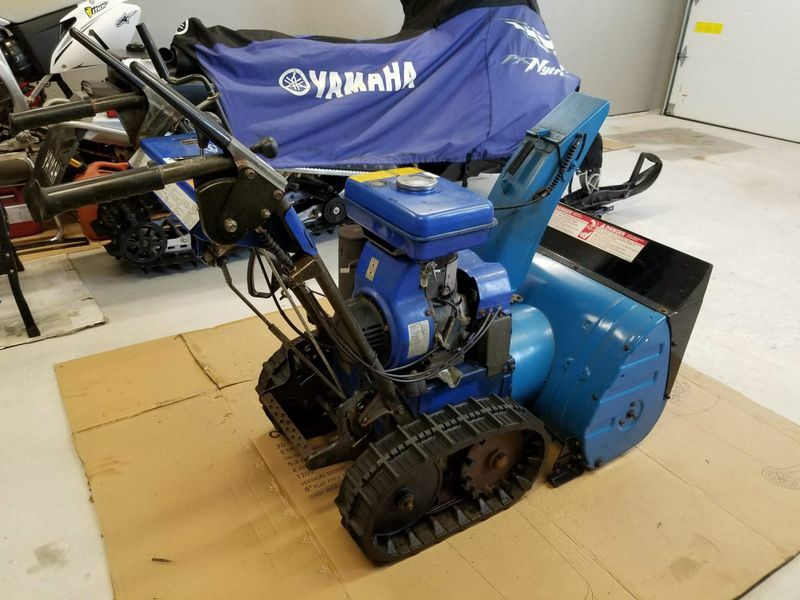 The final step was the Yamaha Blue which was completed with multiple coats inside and out. 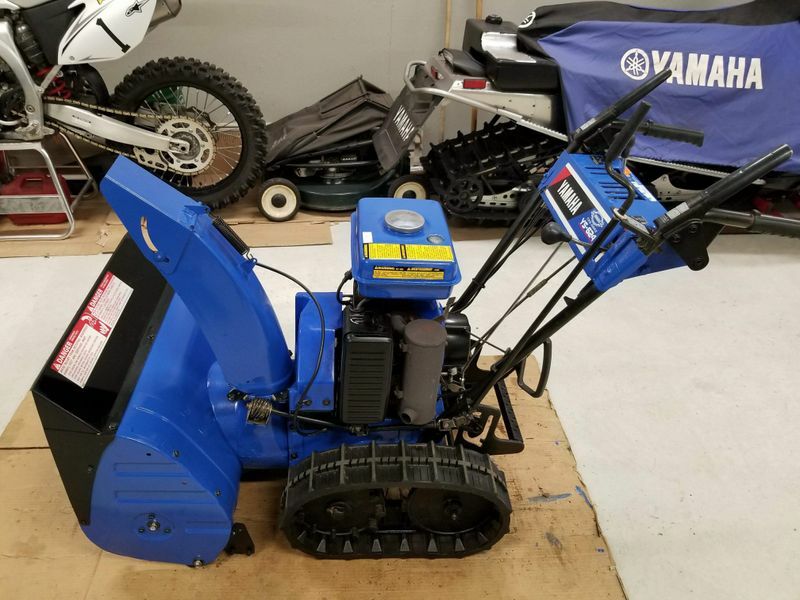 With the bucket complete Bill moved on to the Snowblower body and cleaned, sanded and applied Yamaha Blue brush on using a foam brush to the frame, tank and control panel. This not only looks great but saved time on further disassembly and/or masking parts if he used a spray can. 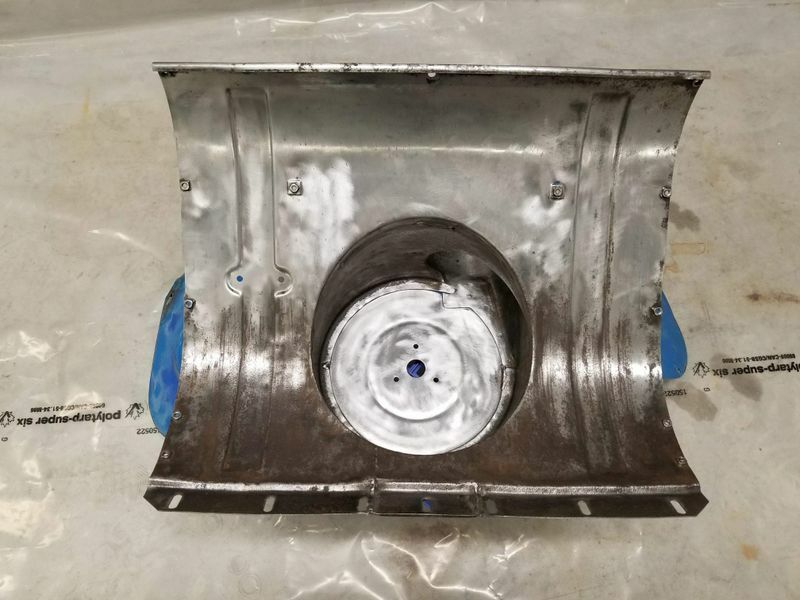 Assembly began by putting the bucket back together along with the impeller and augers, new bearings and all new nuts and bolts from the dealer were used for a clean, rust free assembly. 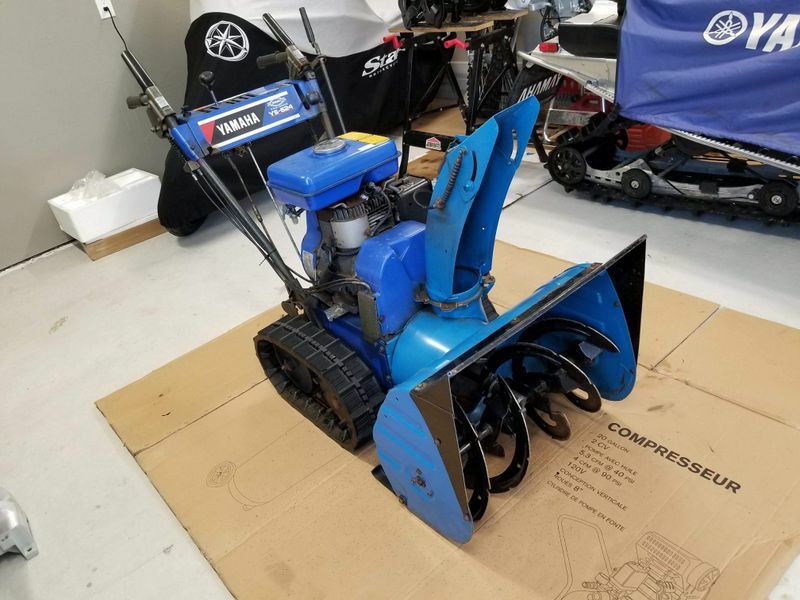 Bucket fully assembled and ready to be mated with the rest of the Snowblower. 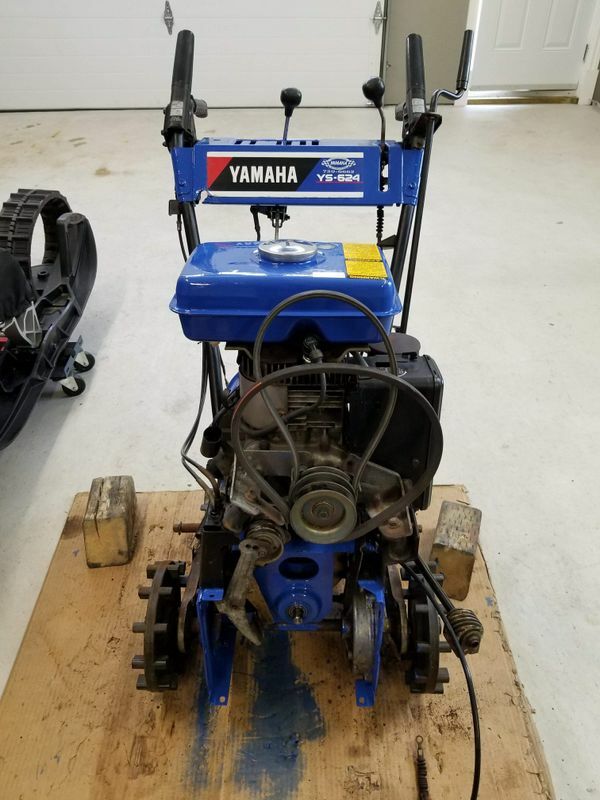 The last step was to modify the bucket skids. 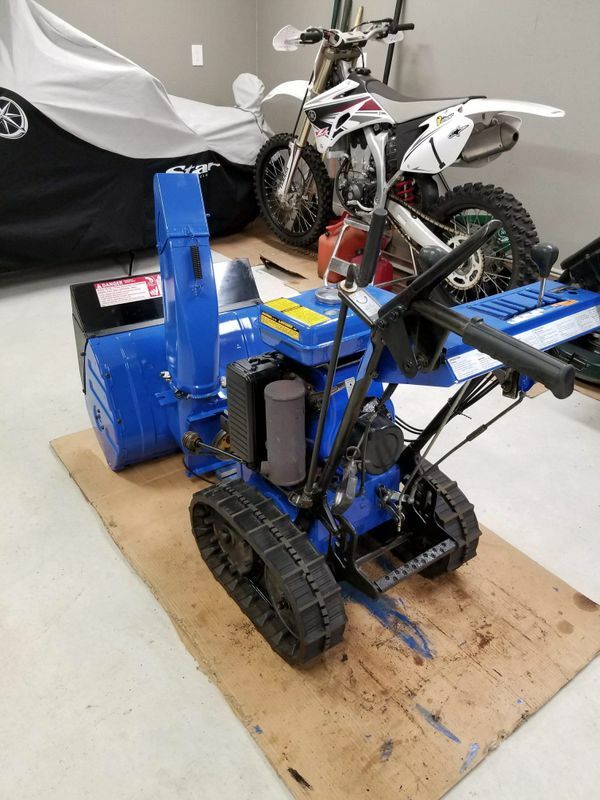 Bill cut and attached snowmobile Hyfax to the bottom of the steel bucket skids. 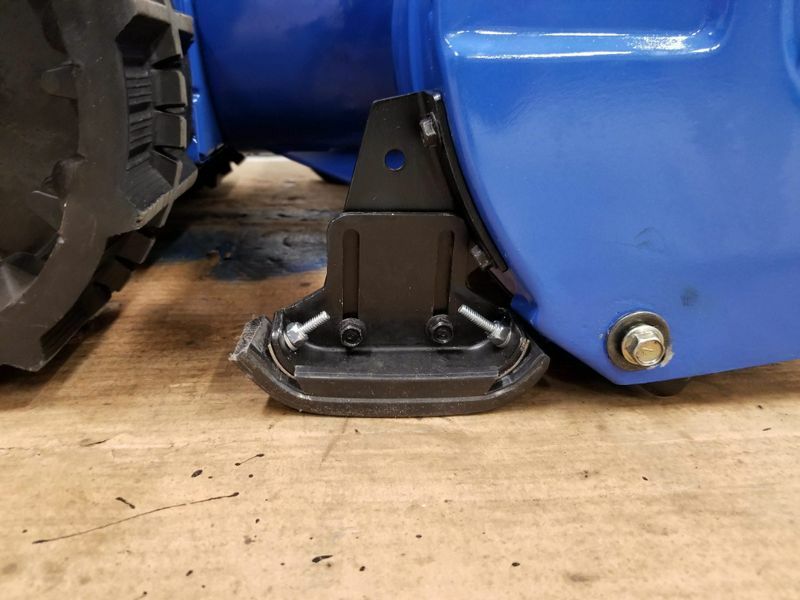 This should slide much better across the ground and slow down wear of the steel OEM skids. Completed at last! 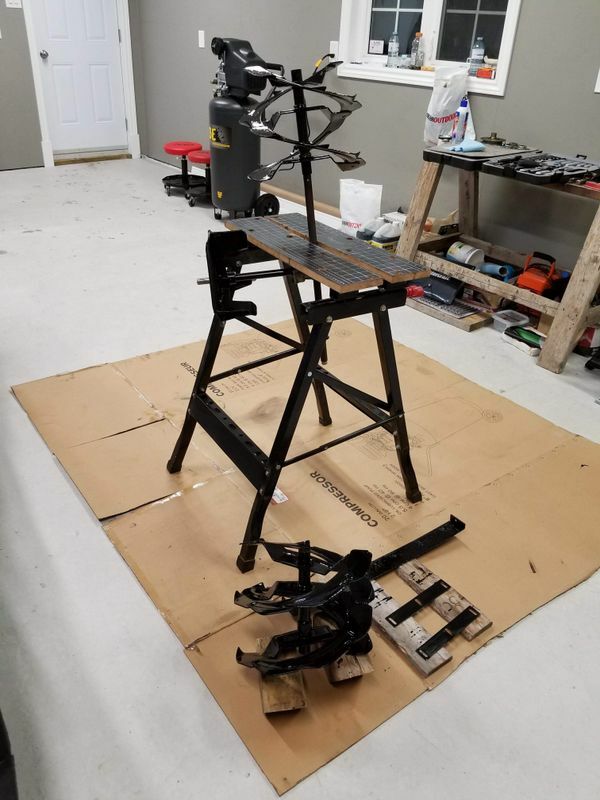 Although this machine is 20 years old it not only works amazing it looks amazing as well. 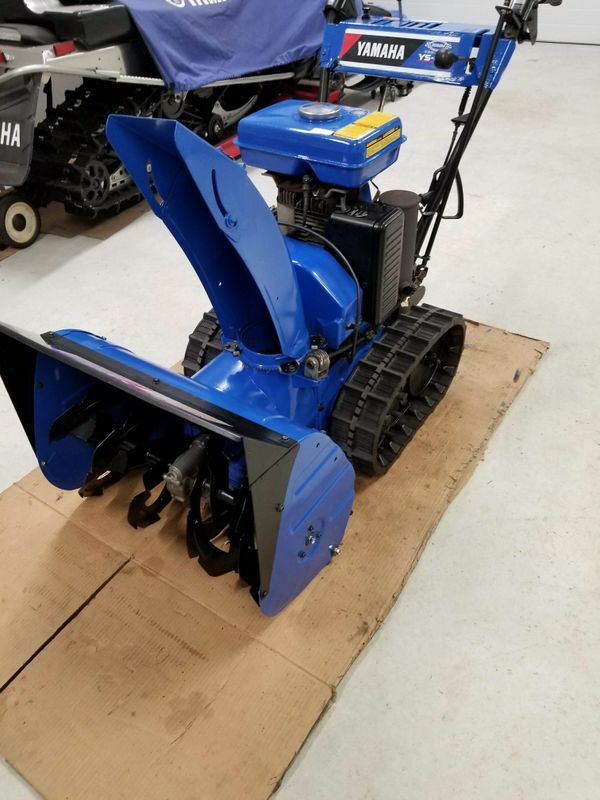 Both Honda and Yamaha make a great Snowblower product that with regular maintenance work better than their domestic competition, are more reliable and retain their value a thousand fold as well.